One of the biggest festivals from the music of the great Bob Dylan will be taking place this year in Derry / Londonderry / Moville. All around these towns there will be acts playing Dylan’s music day and night from August 23rd to the 27th 2018. The performances will take place both inside and outside many of the local pubs and other local areas. The festival started in 2007 and has had a great success since then. Acts from all over Europe come to play and it also attracts visitors from all around the globe. This year’s festival will surely be one not to miss. To see a clip from last year's Outdoor Acoustic Session outside Rosatos. Click on the clip below. There will be more this year both at Rosatos in Moville and the Gweedore in Derry. 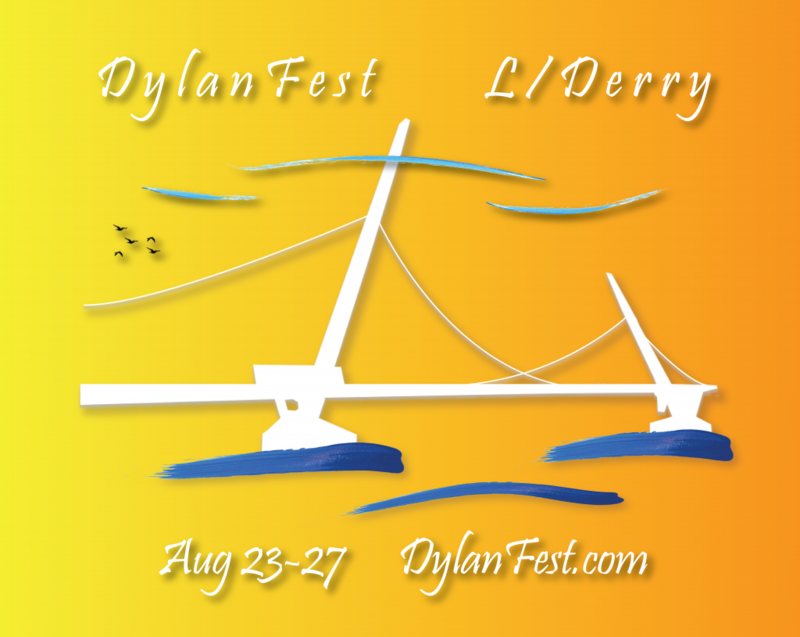 To see the Programme of Events click on DylanFest Programme. To read about the acts click on DylanFest Acts.